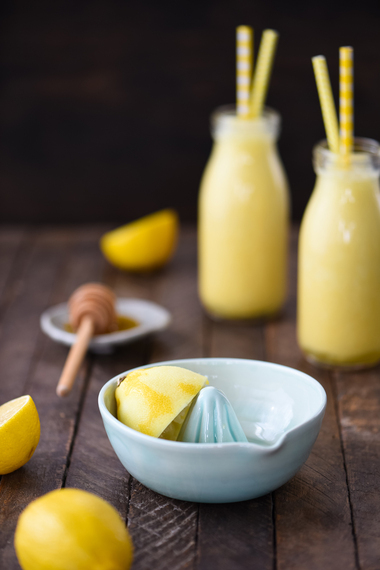 This lemon smoothie is sunshine in a bottle! It's a healthy way to jolt yourself awake on a dreary morning. Well, it’s that time of year again where it’s just really, really hard to get out of bed. Now, I’m not normally a person who springs out of bed before dawn, ready to tackle the day, anyway. But this time of year, when it’s dark and cold, and there’s a 75% chance it’ll be gloomy all day even after the sun comes up? These days are brutal, man. The only thing getting me out of bed lately is this “Sunshine in a Bottle” lemon smoothie. As you know, lemon is my favorite flavor, so it’s kind of like I’m waking up to my favorite food. 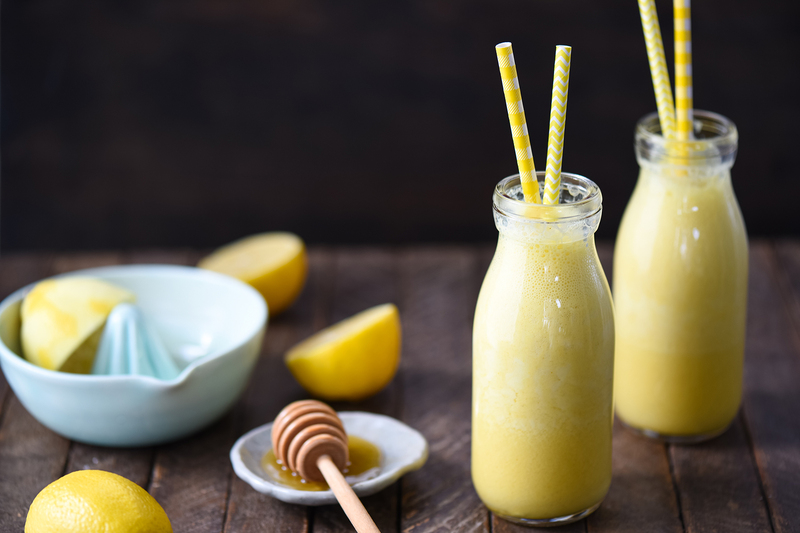 Every single ingredient in this smoothie (well, except the ice) is engineered for maximal bright, zingy flavor and health benefits. That’s right, I engineered this smoothie. And hey, even the ice gives you some hydration! 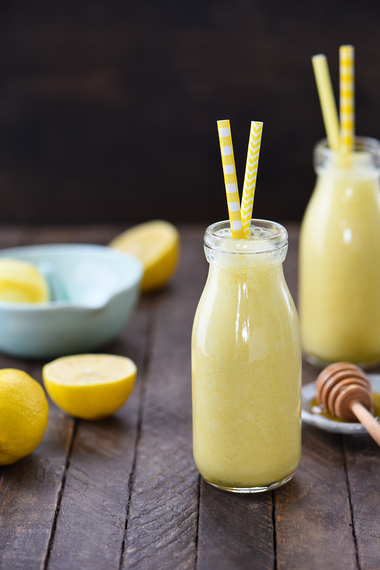 Get the Lemon Smoothie Recipe!